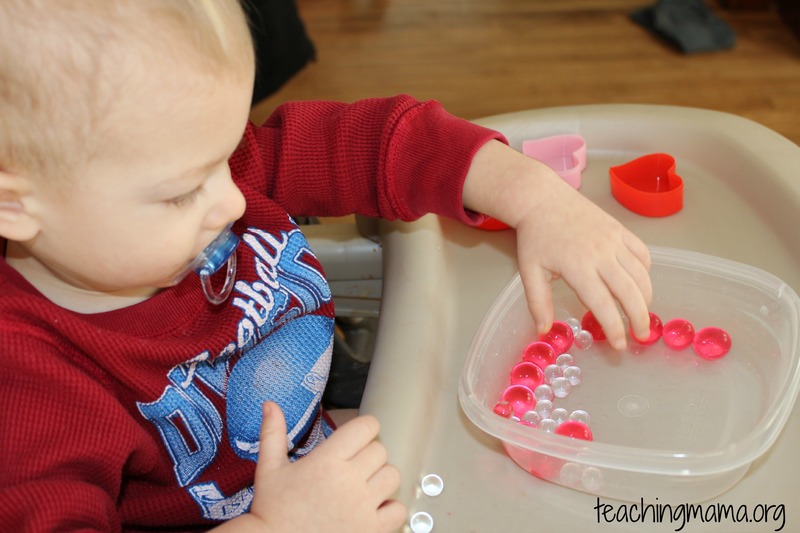 One of my boys’ favorite sensory activity is playing with water beads. 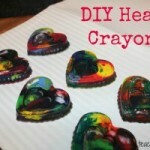 They have a slimy, squishy texture that screams fun for kids! 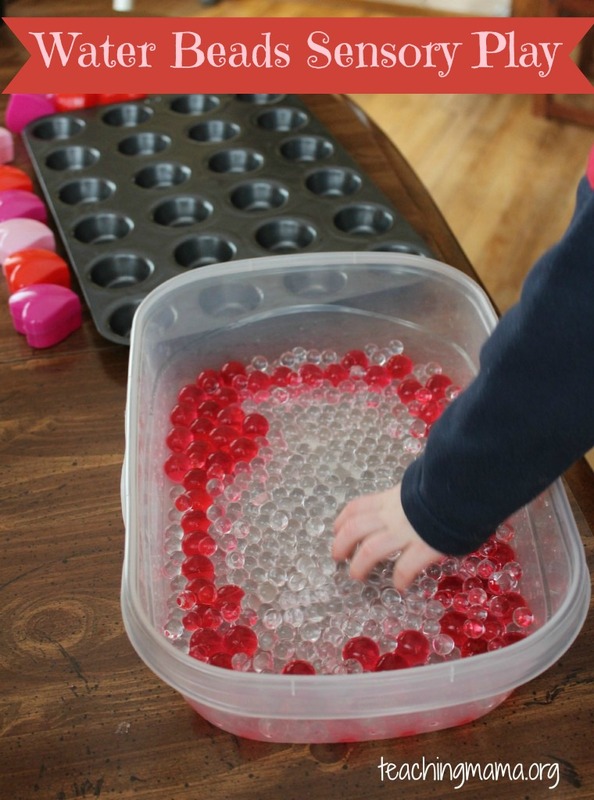 We picked up these large red water beads and small clear water beads from The Dollar Tree yesterday. 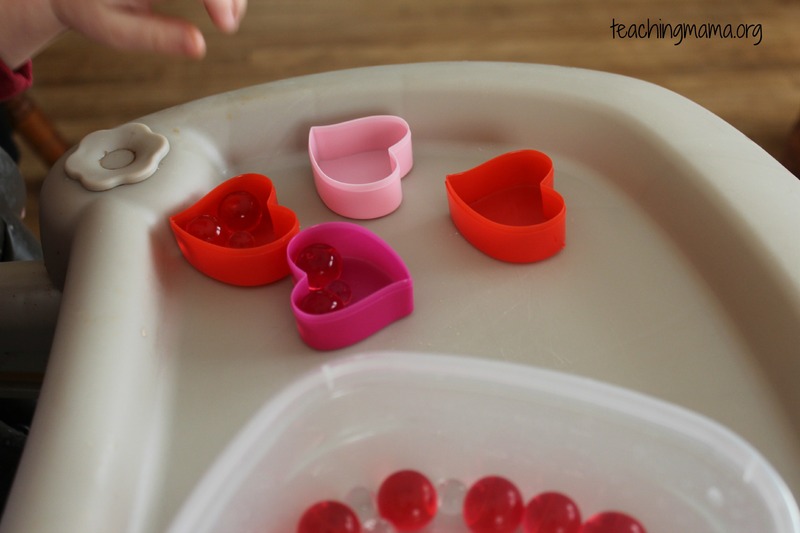 We also got ten little heart boxes in three colors. Whenever I’m walking around The Dollar Tree, it feels like a scavenger hunt to me. 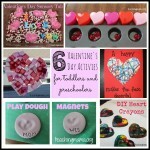 I see all the dollar items and try to think of a fun lesson or activity we could do with those. So when we were out there yesterday, that’s what I did with the water beads and little heart boxes. To begin, I let Troy decide how he wanted to play with them. 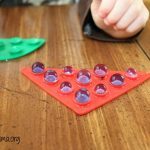 Troy wanted to use the mini muffin tin to sort the beads. He thought they each should have 1. 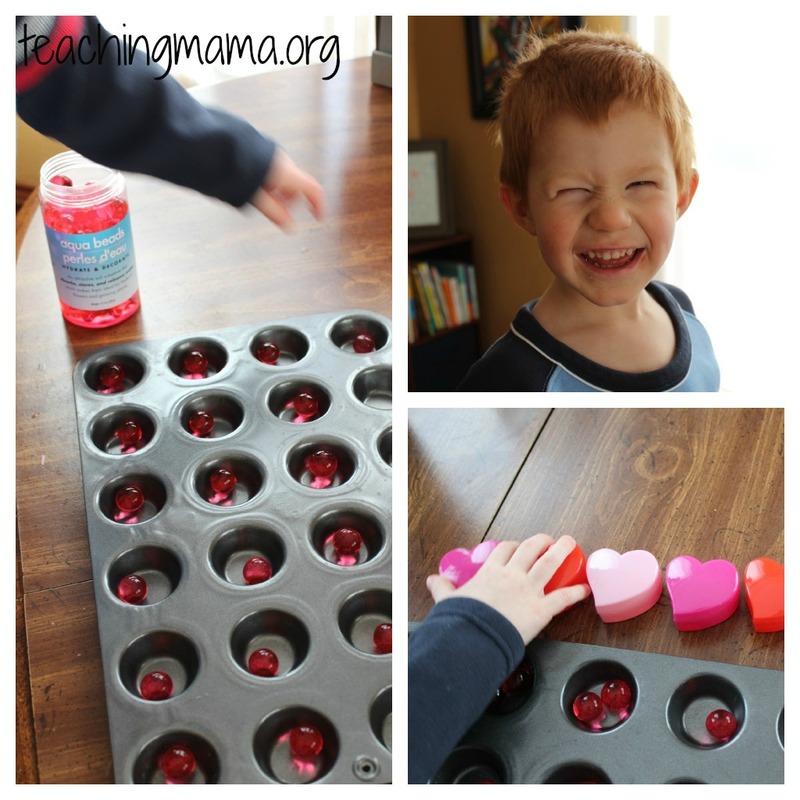 Then he grabbed the little heart boxes and wanted to see how many beads would fit into each box. We discovered that 4 fit, but when we added the fifth one, one popped out! Then we proceeded to put the heart boxes into a pattern. I was surprised at how quickly he caught on to the ABC pattern! We did an AB pattern earlier with only two colors, but he mastered the three color pattern today. Good job, big boy! 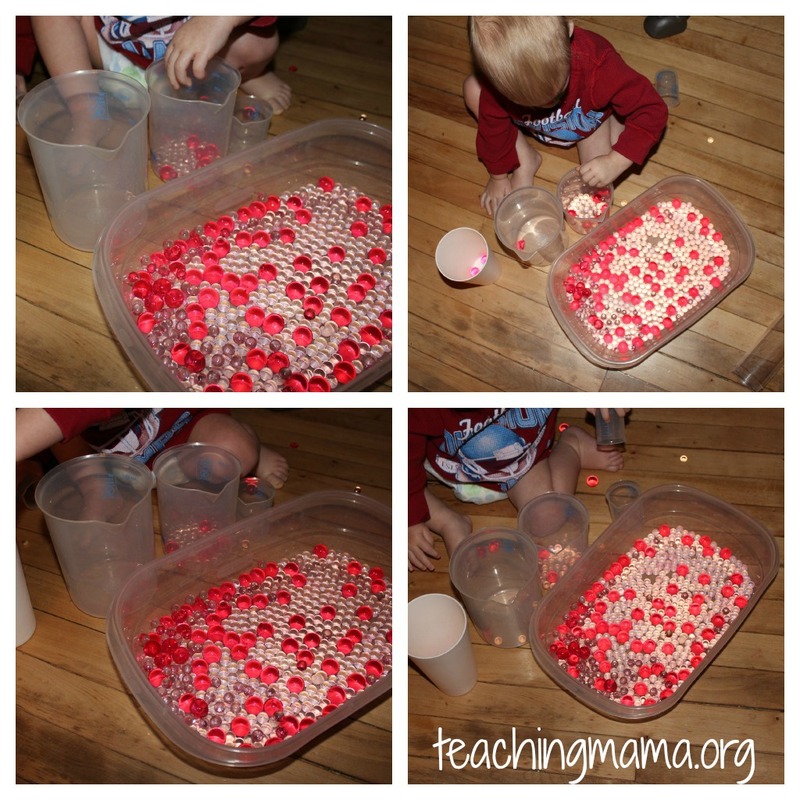 Then we dumped the water beads in a container and he started playing with them. Of course, little brother wanted a turn to play with them, too! On his own, he decided to fill the little heart boxes, too. I think kids love filling up things! In the evening, Wes wanted to play with them again, which is why it looks like they are glowing! He loved putting them in different sized containers. 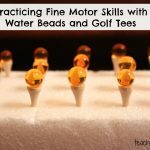 Have your children played with water beads? If so, what are your favorite activities with them? Thanks for the tip! I didn’t know Dollar Tree carries them. I’ll have to make a trip, I’m seeing these everywhere on the web. Looks like they had a lot of fun. I wonder if they float in water? You’re welcome, Amy! Yes the Dollar Tree sells them ready-made in a bottle for $1. You can also find them at Michaels or Walmart in their floral section. I like to buy them in a pack that isn’t already made (they look like seeds) and let them soak in water overnight. You get a lot more that way! They actually don’t float. They kind of bounce around in water, but stay at the bottom. Thanks for your comment and hope you’ll try it out! That is so fun! I had been wondering where to get them too! Your ideas are so awesome Angela! Makes me excited to try them with Lainey now and when she gets a little older too! Thanks, Sarah! Yes you can find them in most floral sections of craft stores or even Walmart. 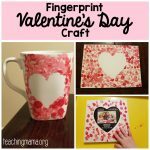 They are cheap, easy and fun! Love the red & clear together…sets the stage for Valentines:) I just want to reach into the computer and experience the sensory tube and sorting!! Love what you do, Teaching Mama! Aww thank you! 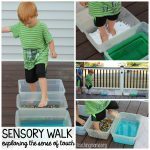 You can come over anytime and play with the sensory tubs! I found out you have to hydrate colors separately. If you try to do two colors at same time they all come out same. At least that’s what happened with pink and white they all turned pink. We had fun anyway. Looks like fun! Can’t wait to try this with my 16 month old Grandson. Have you had any problems keeping kiddos from putting them in their mouth?